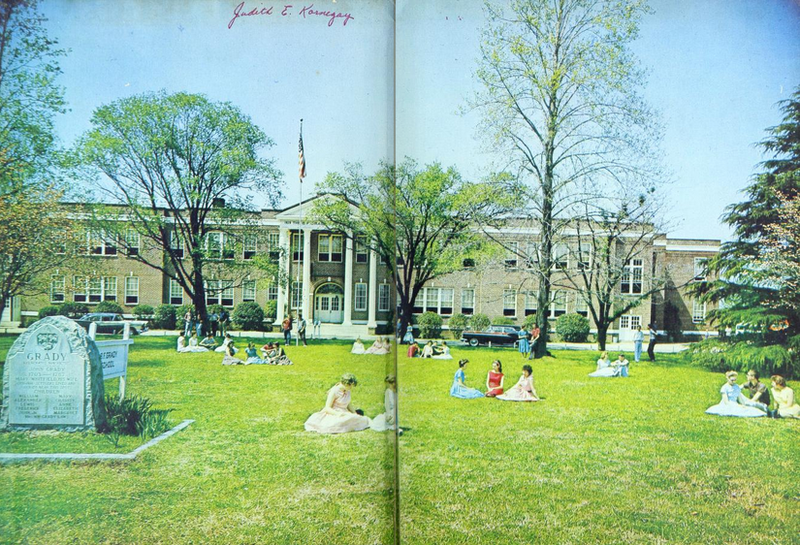 Students on the lawn of B. F. Grady High School in 1960. 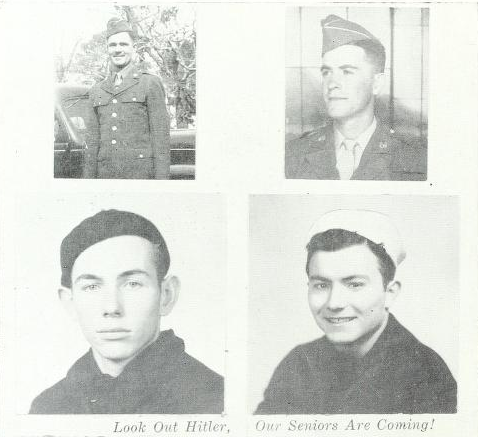 The 1945 edition of Overflow dedicates a page to students leaving for WWII. The NC Digital Heritage Center has partnered with Grady-Outlaw Memorial Library, a new partner, to digitize yearbooks from B.F. Grady High School in Seven Springs and Albertson, N.C. The yearbooks are now available online in the North Carolina Yearbooks collection. Yearbooks from Seven Springs, N.C. are from 1943 to 1947 and those from Albertson, N.C. are from 1953 to 1962. The yearbooks, called “Overflow,” include photographs of students, staff, faculty, sports, clubs, and other activities. Spanning two decades, the yearbooks reflect changes in North Carolina and America over the years.